At The Sludgelord we pride ourselves at introducing you to the very best music from the heavy metal underground. 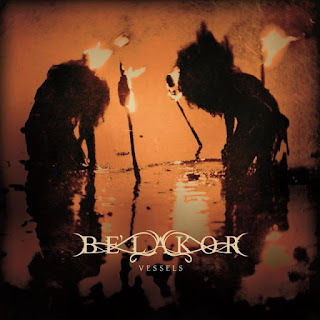 So with superb album premieres from Battle Path and Hollow Leg earlier this week, today melodic death metal is on the menu, in the form of Aussie’s finest purveyors of darkness, Be’lakor. With the band set to release their brand new album “Vessels” this Friday 24th June, an album described as “eight songs that with satiate your hunger for progressive structures and technical prowess,” today at The Sludgelord we present their brand new lyric video for “The Smoke of Many Fires” which you can enjoy below. So if intense, passionate and deeply disquieting melodic death metal is your thing, hit play and snap your neck to this 9 minute masterclass. 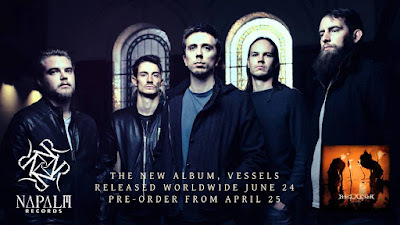 "Vessels is the product of well over a year's hard work - without doubt, it's the album that has challenged us the most. It's much richer and more textured than any of our other albums. There are parts which sound like the Be'lakor that fans know, while other sections might surprise some people. Our goal was to keep the music exciting and varied, for us as much as for anyone else. Vessels is also our first concept album, which has meant that lyrically we've really pushed ourselves this time around. We hope our fans will enjoy it as much as we do!"